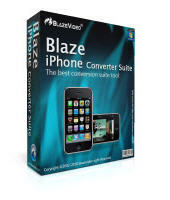 BlazeVideo iPhone Converter Suite provides you with two powerful programs ( iPhone Video Converter and DVD to iPhone Converter) at a discount. 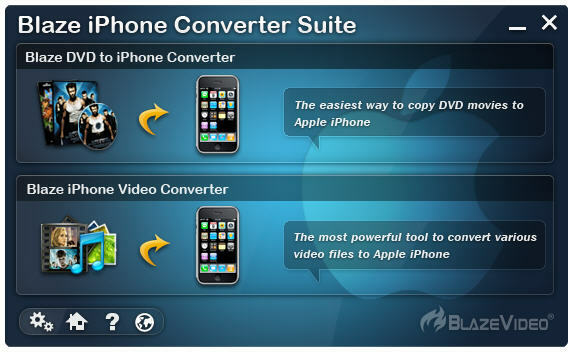 This 2 in 1 suite allows you to playback any DVD, video, audio, image on your iPhone. Multiple converting modes: Entire Disc, Main Movie, Customize. You can choose to convert the whole movie, main movie without extras and special features, personalize your MP4 file with only favorite title/chapter/subtitle/audio remained, also you even can customize the MP4 file size to fit for your iPhone memory. Tipard TRP Media Converter - Allows you to convert TRP file to MPEG, FLV, H.264, 3GPP, MOV, DivX, XviD, HD video, etc.